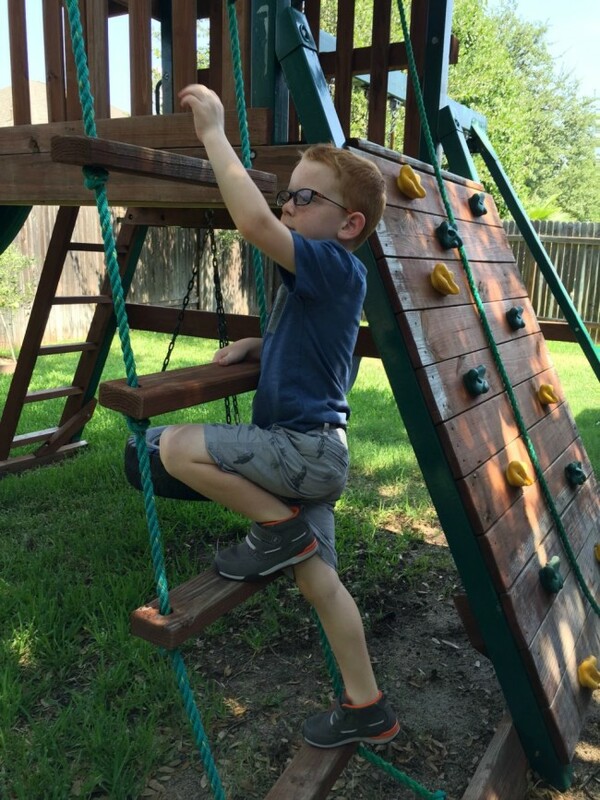 This is a sponsored post written by me on behalf of Stride Rite. All opinions are 100% mine. It’s been a long time since I’ve had the chance to shop in the toddler shoe section at any store. My youngest is 11 and wears a mean’s size 8, coming up on 8 1/2 very quickly. So when I heard Stride Rite was debuting a new line at Target called Surprize, I wanted to see them, buy them and test them out – which meant I had to hire some talent asap. Hah! Or ask a friend with one of the most adorable little guys you’ll ever lay eyes on to come with me and look at the new line. 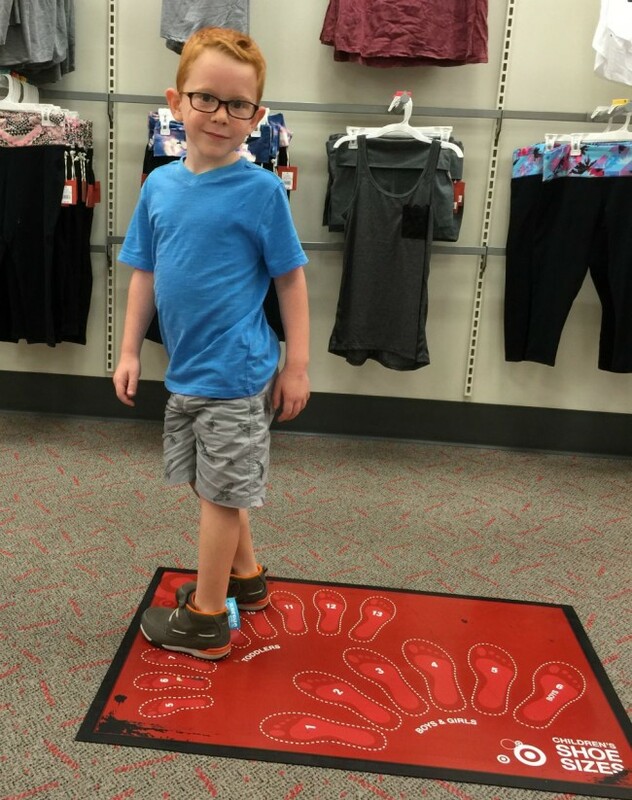 I present to you…Carson, who said his new Stride Rite shoes help him run really fast! The new Surprize for boys line of footwear offers a selection of both sneakers and boots, while Surprize for girls offers sneakers, Mary Janes and fashion boots. 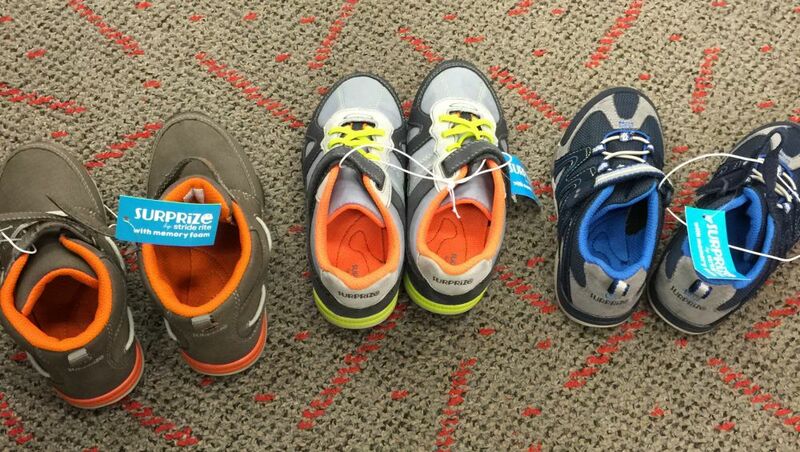 Surprize by Stride Rite is available for the first time only at Target and can be purchased at all U.S. Target locations, as well as online at Target.com. 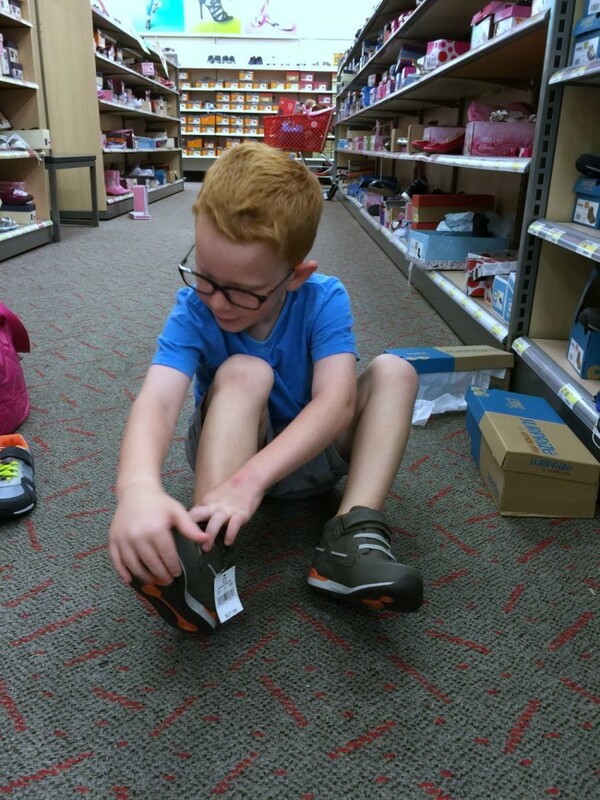 After browsing the selection and trying on a couple of pair, he decided the boots were for him. 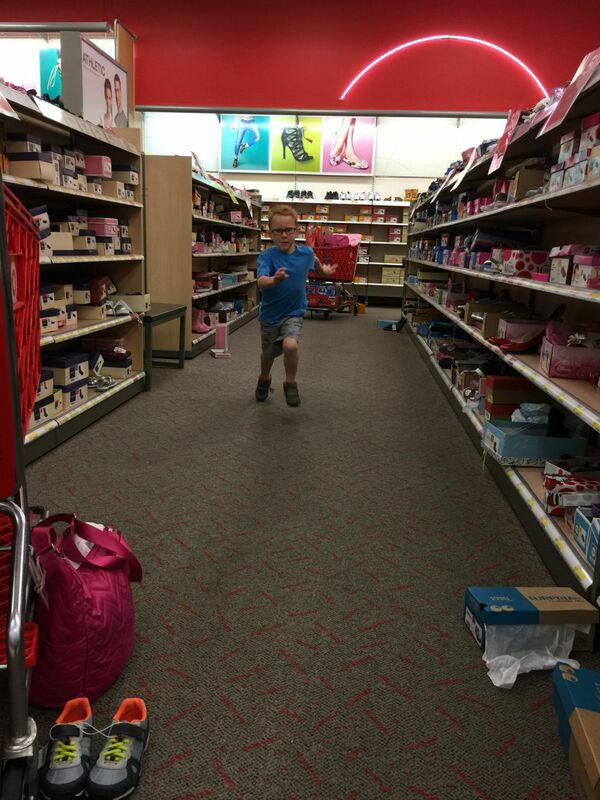 He even practiced running in them, like all kids should be able to do in the store, am I right? 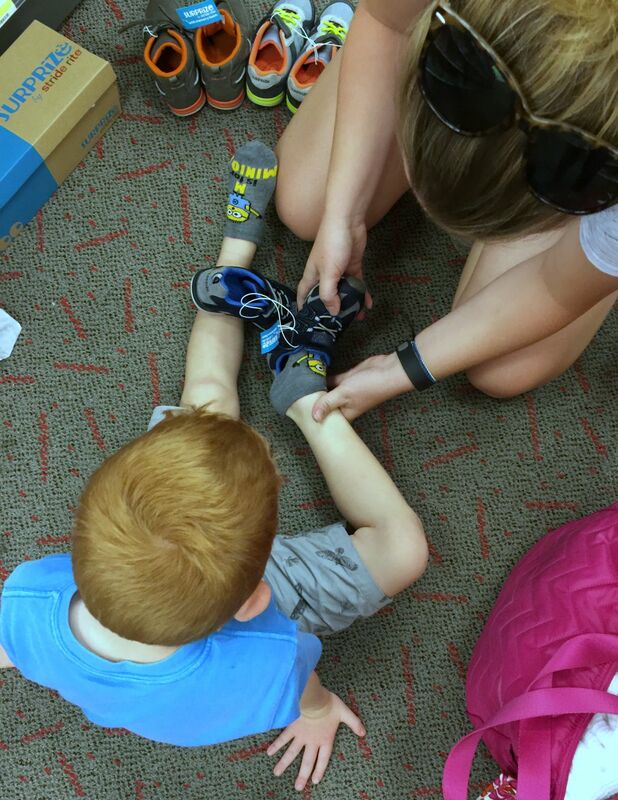 Whether your kids are 5 or 15 (or heck, 25), they’re hard on shoes! 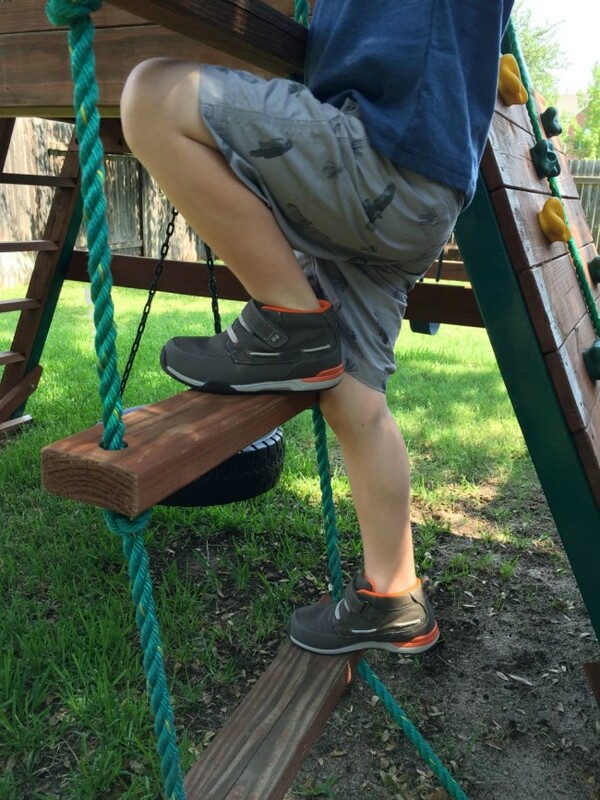 From running, jumping, climbing, chasing the dog and just being a kid, their shoes get put through the ringer. 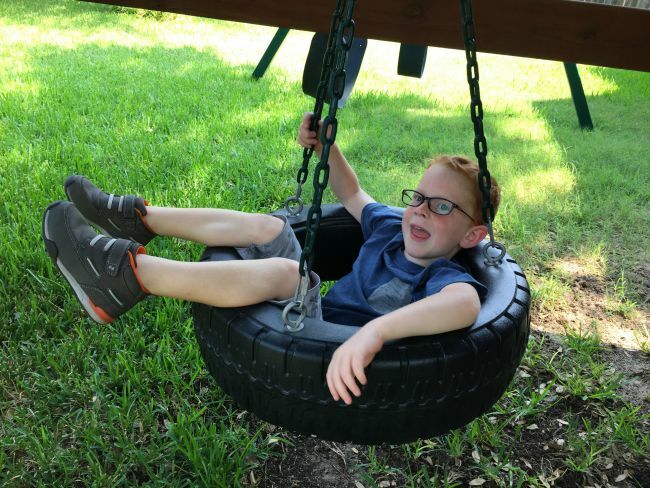 Parents will love the Surprize line for their rubber toes, which ensure durability, and kids will love them for their fit and comfort. 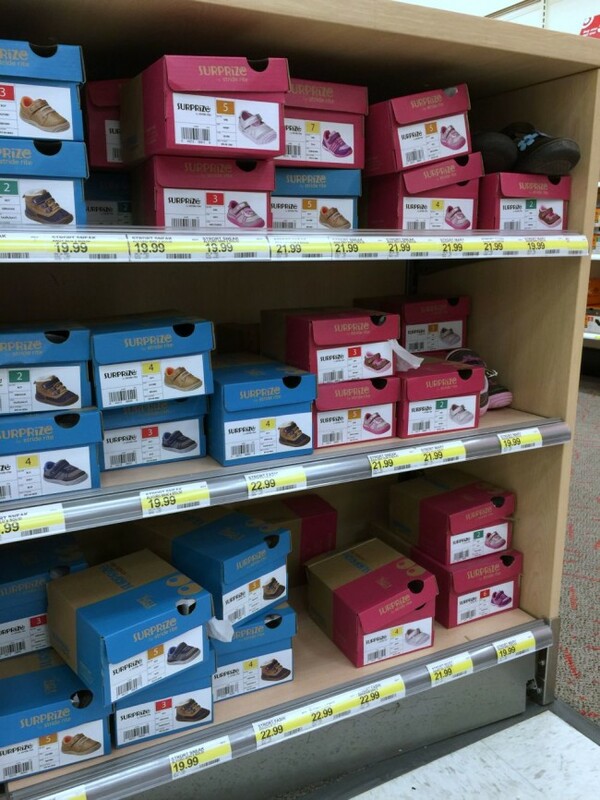 Are your kids picky about shoes? Yep, mine too. The Surprize line features a generous fit and all memory foam footbeds, plus they have very flexible outsoles allowing for an agile, natural step and growth. 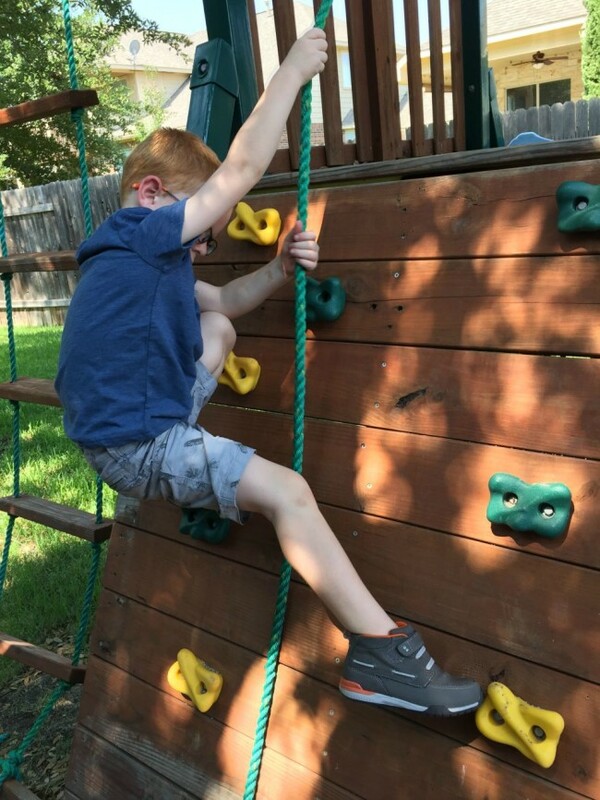 Carson has one great pair of shoes he’ll be rockin’ in preschool, from the classroom to the playground. 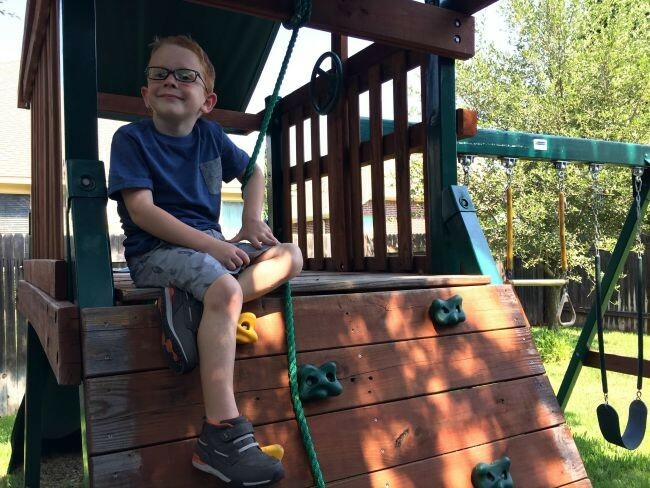 Be sure to check out Stride Rite on all of their social media channels: Twitter, Instagram, and Facebook. Which Surprize shoes do you think your little ones would love the most? Shop Surprize by Stride Rite to see the entire adorable collection. You can also watch this video which shares more about the brand, and features some super cute kiddos enjoying their Stride Rite shoes. That’s awesome that they have Stride Rite at Target now! I wish I’d had that option when my kids were little.